Pouring over clues during a Race to Escape challenge held by Samaritan Works are, left to right, Taylor Geise, 13, daughter of Sara and Kevin Geise, Linda Rindler, Carianne Rindler, 16, daughter of Linda and Dean Rindler, and Emilee VanSkiver, 13, all of Sidney, daughter of Brent and Shelley VanSkiver. The Race to Escape will continue Feb. 15, 16, and 17. 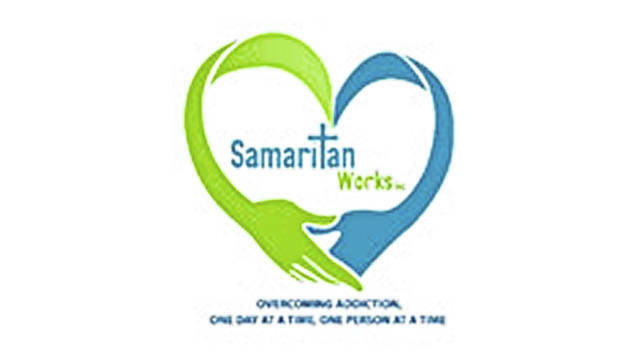 Editor’s note: The Sidney Daily News will be publishing a weekly series of articles about Samaritan Works and how the organization helps residents maintain their sobriety, whether it’s from drugs or alcohol. SIDNEY — The nonprofit, Christian-based organization Samaritan Works operates Serenity House, Amelia House and Horizon House, which are male and female sober living homes dedicated to promoting the recovery of men and women who want their sobriety and need a way to hold on to it. Potential program residents are strictly screened and assessed prior to entry into the program. Each must be 18 years or old, acknowledge that they have an addiction, and make a six-month commitment to the program. The Amelia house is home to six women in recovery, and the Serenity House is home to six men. Samaritan Works newest addition is the new graduate facility, Horizon House, a newly renovated home equipped with four fully furnished apartment units. These homes allow the residents anywhere from six months up to two years in duration to focus on their sobriety. Much of the recovery process includes being involved in lots of NA or AA meetings and working with a sponsor and others living in recovery. Connecting to a church and building a good spiritual support base is another important component for recovery. Living in that type of environment has helped a mother of two earn back the respect of her parents and her children. The concept of recovery housing isn’t news, but when drug use is on the rise in Shelby County, it’s important to recognize that Samaritan Work’s recovery homes do serve those in recovery well and greatly increase the chances that they will be able to stay clean. 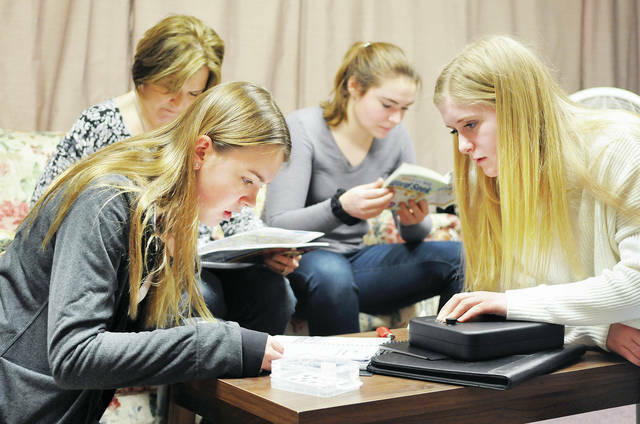 https://www.sidneydailynews.com/wp-content/uploads/sites/47/2019/02/web1_SDN021219RaceEscape-2.jpgPouring over clues during a Race to Escape challenge held by Samaritan Works are, left to right, Taylor Geise, 13, daughter of Sara and Kevin Geise, Linda Rindler, Carianne Rindler, 16, daughter of Linda and Dean Rindler, and Emilee VanSkiver, 13, all of Sidney, daughter of Brent and Shelley VanSkiver. The Race to Escape will continue Feb. 15, 16, and 17.